At some point in early adolescence, I began to realise that a person’s fame was not necessarily commensurate with her talent. 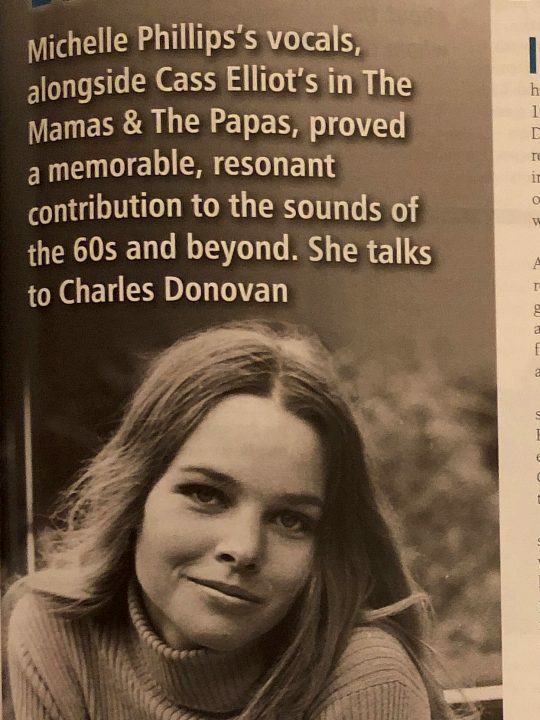 And never has this been more the case than with singer/songwriter/author (and occasional actress) Catherine Howe, whose music beggars almost all available adjectives. 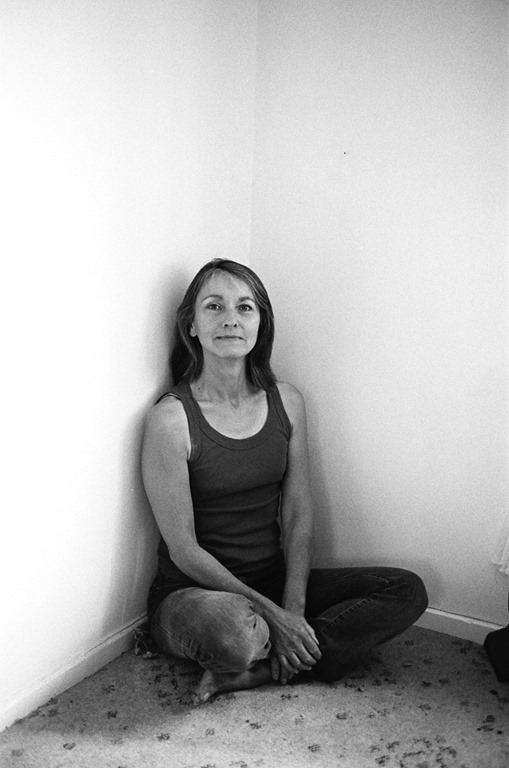 Since first appearing in album format in 1971, she has been creating work which, thanks to her alchemical abilities, sounds as if it has already had a long existence and been absorbed into the national culture. 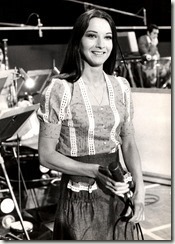 But owing to a combination of distribution and promotional hiccups, and perhaps also her own reluctance to present herself as an ‘image’, during her stints on major labels in the 70s, she didn’t rack up the kind of sales or the degree of name-recognition that she deserved (and continues to deserve), despite bagging an Ivor Novello award along the way. We spoke on the occasion of the release of her new album (a Catherine Howe album on the spine of the CD, although each band member is given equal billing on the front cover), Because It Would Be Beautiful. Catherine’s early childhood was spent in Yorkshire. “It was filled with older brothers and sisters and their collections of 45s and 78s,” she recalls. 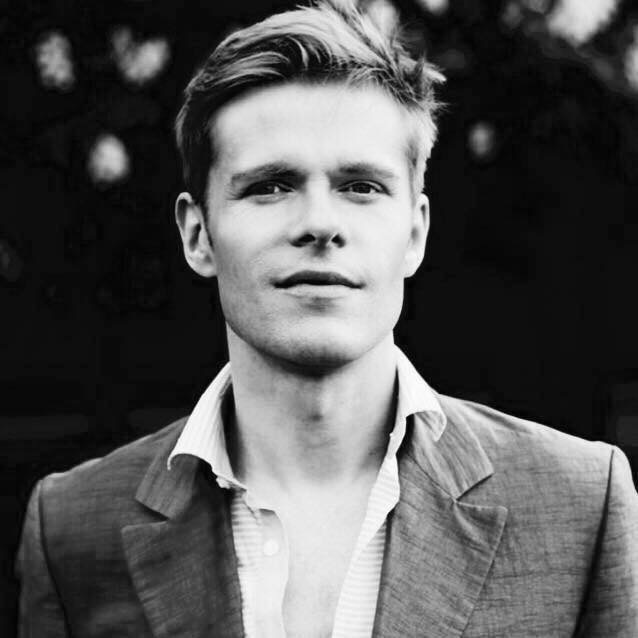 “Our parents came to Yorkshire from Essex during World War II so the feeling of not quite fitting in at school might have been due to our southern strangeness in a northern industrial town”. Her first experience of music-making was inauspicious: “I reacted badly to piano lessons,” she confesses. But when her singing voice was discovered, everything changed and at the age of twelve, she was sent to Corona Stage School in Hammersmith, London. Since Corona wasn’t a boarding school, this meant lodging with a foster family. “Corona was good because everyone there was sparky and open-minded. Bad because it was two hundred miles from home. The adjustment from a happy home to an unhappy one was interesting in the difficulties and miseries it presented. I am left with a small insight into why children who go through institutionalised care can find life so hard”. The emotional hardships aside, Catherine’s talent for singing and drama were nurtured in a creative environment she shared with Judy and Sally Geeson, Susan George, Sheila Young, Dennis Waterman, Richard O’Sullivan and Helen Worth. “Those were the days when drama schools weren’t expected to put their pupils through GCEs so we left with no academic qualifications whatsoever. No chance of university”. 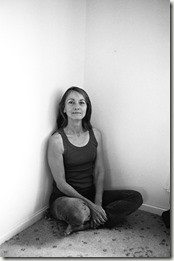 In any case, Catherine felt a certainty about the path she wanted her life to take. “Music was the thing. Music brings us something no other art form can. And I knew from early on that I’d been born with the songwriter gene”. It wasn’t going to take her long to find a record company willing to share this conviction. By the late sixties, Catherine’s parents had moved south, so London was no great distance. Although Catherine found work on stage and in television (Z-Cars, Doctor Who, Dixon of Dock Green and more), acting was never going to be more than a Plan B. “It was an accident that happened when I went to Corona,” she says. After shopping her music around the capital, she struck a deal with a smallish label called Reflection Records, much of whose output was distributed by CBS. 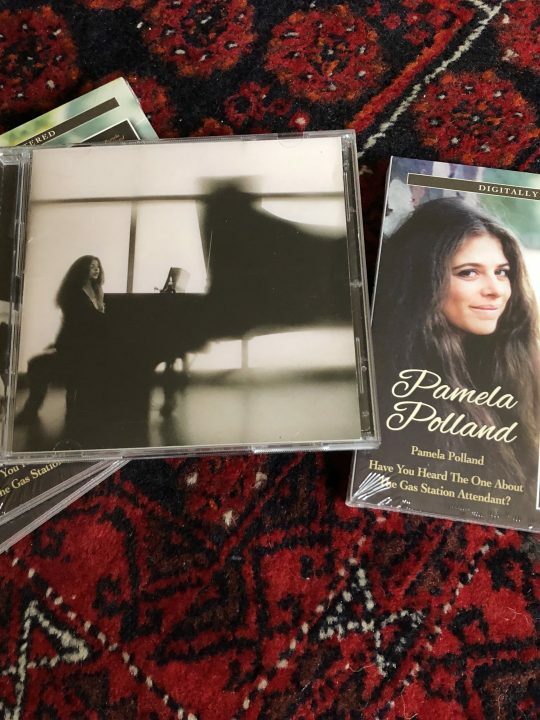 She was paired with a brilliant American producer, Bobby Scott (co-writer of ‘He Ain’t Heavy, He’s My Brother’), and the result was What A Beautiful Place, recorded at Trident Studios in Soho. 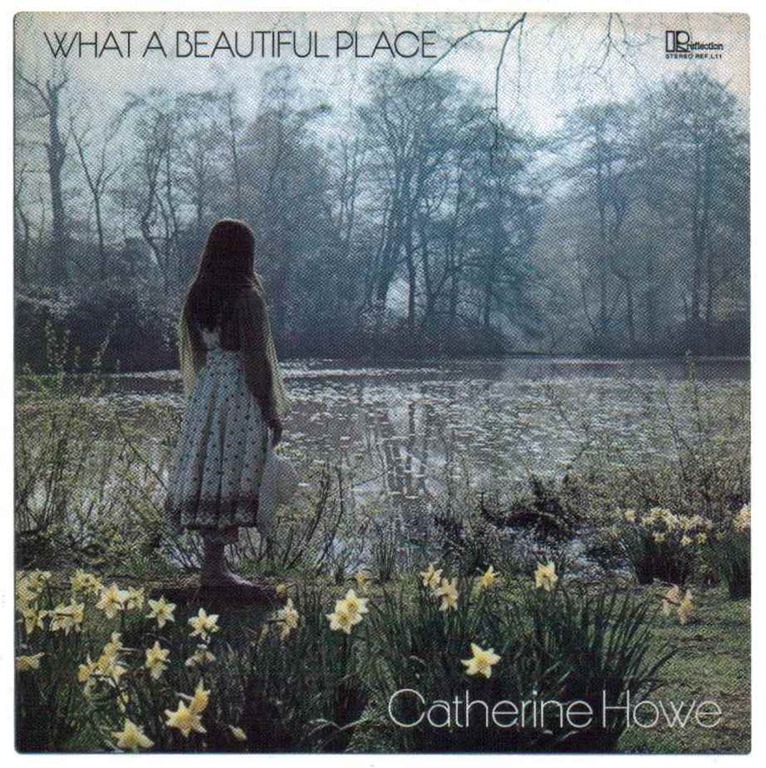 The album’s nine songs – whimsical and highly poetic, some inspired by the beauty of coastal Dorset, others by Catherine’s first home in the north – were luxuriously arranged, with help from the London Symphony Orchestra, and the cover depicted Catherine gazing mystically across sunlit waters at Kenwood House. This was also the first time her lovely, glistening, yet thoroughly unpretentious singing voice was unleashed upon the world. There was at least one potential pop single in ‘Nothing More Than Strangers’. Radio reaction to promo copies was encouragingly positive and everything seemed set for a decent commercial breakthrough. Then, as rapidly as it had come together, it fell apart. “The English and American producers argued with each other over property, so the recording was restrained under a legal injunction and withdrawn”. 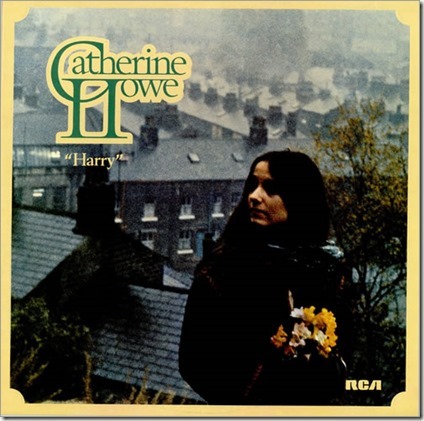 Catherine kept a remarkably sanguine head on her young shoulders: “I had no idea what anyone thought of the album, so its disappearance didn’t shock me too much. I just took it as something unavoidable and carried on keeping body and soul together through odd jobs”. It required only a few more years for Catherine to re-emerge on record, this time with the support of a bona fide big player – RCA. “RCA was great. Happy times,” she remarks. The first fruits of this alliance was the album Harry, which came packaged, perhaps unwisely, in a cover that made it look a bit like a trad folk collection rather than the adult pop/singer-songwriter album it really was. Nevertheless, it got considerable press and the title track, a romantic ballad with Catherine on piano and vocals, was a resounding success on radio, winning her a coveted Ivor Novello award and making her – after Lynsey de Paul – the second ever female recipient. “The Ivor presentation took place at the Hilton Hotel on Park Lane in 1975. It was a good day. The sun shone,” she says, her memory apparently unwilling to yield any other details. But there was a problem. Turntable hits such as ‘Harry’ were not translating into sales hits. At first, Catherine thought she must somehow be the problem. It wasn’t until some time later that she discovered the blame lay elsewhere. “My manager said we were performing in towns where none of the record stores had my albums on their shelves. And a well-liked A&R executive was kind enough to whistle-blow on the feet-dragging of some departments”. 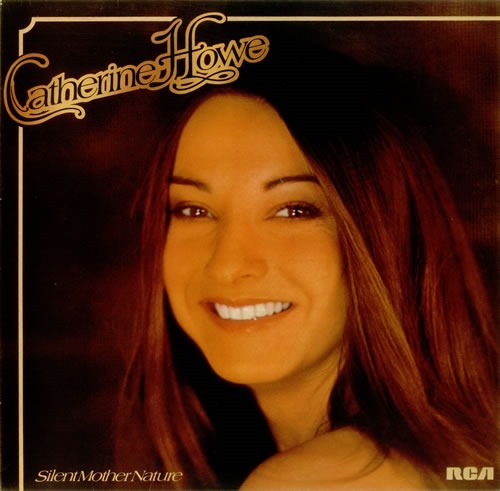 Undaunted, Catherine pressed onward, and her second RCA album, Silent Mother Nature, was a remarkable leap forward and an accurate capturing of her own artistic vision. Catherine mentions a “difficulty in maintaining creative principles in a male-dominated world” when it comes to explaining the rather tentative qualities of the first RCA album, which was a mix of covers and originals. The second, on the other hand, opens with a bang and, over the course of twelve original Howe songs, takes in elements of soul, pop and folk with aplomb. 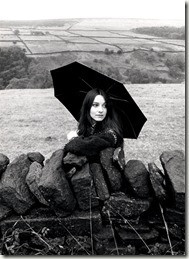 The album beat Kate Bush by two years in being the first singer/songwriter release to feature a track prompted by a Bronte novel (‘Lucy Snowe’, inspired by Charlotte Bronte’s Villette), a feat that Catherine brushes aside with characteristic modesty: “There’s nothing to compare between them, apart from the fact that they’re both inspired by a Bronte sister. Kate Bush stands quite alone and I can’t see any logic behind a comparison”. Regardless of that, in a recent, glowing reappraisal of her work, The Guardian called Catherine a “Kate Bush before her time, an English girl with a pretty face and an artlessly pretty voice” and, indeed, some of her early ballads would not have sounded out of place on Bush’s first two albums. When Catherine says, “RCA was terrific and they nearly pulled me through the lumbering corporate machinery”, it’s the ‘nearly’ that is telling, because despite three years of positive press and radio support, the elusive sales hit did not materialise. 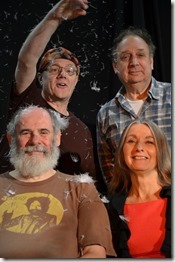 Another attempt to get her into the national consciousness, seemed promising – Catherine was invited to join the cast of the BBC’s magazine show, That’s Life, to perform topical and humorous songs. But the ruse backfired. “I shouldn’t have agreed to it, for their sake as well as mine. I followed Victoria Wood, which in itself was an impossibility. I felt excruciatingly uncomfortable and inadequate and they, quite rightly, got rid of me as soon as they could”. An additional strategy to lift her profile was to pair her on tour with some of the era’s stars, including David Soul (“A delight! Just a really nice bloke and a great singer”), Chris de Burgh (“less approachable, very private. I loved his songs”), Andy Fairweather Low and Randy Edelman (“gentlemen”). “Everyone finds these tours a slog,” she remarks. “Travelling all day, performing at night and trying to sleep in a different hotel room each night, with an ice-making machine clanking in the corridor on the other side of the wall, three inches from your head. I saw David not long ago. Still lovely”. 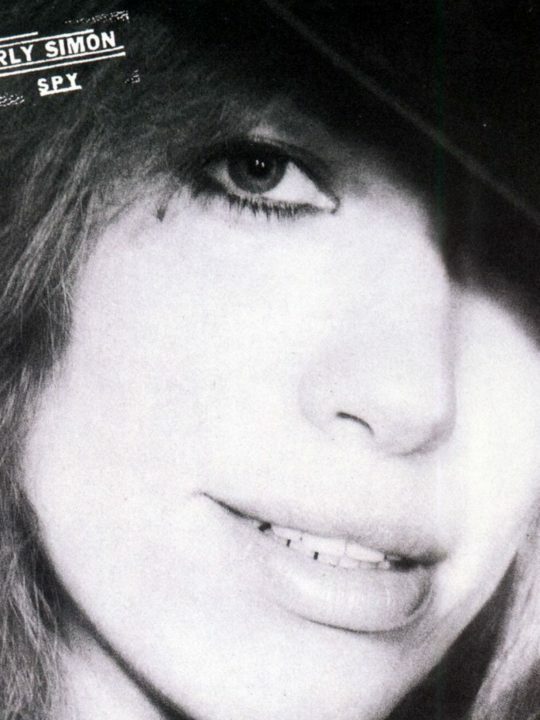 There was also a TV show with Judie Tzuke, which, says Catherine, “turned out well for both of us”. Catherine’s recording career quietly wound down at the turn of the decade. Ariola attempted to keep it going with some non-album singles, the last of which was an interpretation of the Goffin/King classic, ‘Going Back’, issued in 1980. “It was produced by lovely Pip Williams. I remember its release and radio plays. That’s about all I do remember. I wasn’t well by that point. Distribution was poor, both then and earlier”. There couldn’t have been a more apt song with which to bow out, since it’s a wistful examination of childhood and a yearning to rediscover its purity and simplicity, which is exactly what Catherine set about doing. “All I had in mind was to get back to Yorkshire. In retrospect, I see that this was me going right back to the time before I left for Corona. It was the start of linking up again with the person I would have been had I never left home when I was twelve years old”. She came out of an industry notorious for corrupting and breaking people relatively unscathed. “The 60s and 70s had a lot going for them,” she reflects. “The music industry was spectacular but not easy for young women to navigate, and it never will be for anyone who doesn’t have a good business head on their shoulders. It was good, but it required shrewdness and not everyone has that”. When Catherine recently saw the biographical documentary, Amy, it struck a considerable chord with her. “The industry is still destroying talented people,” she says. “The film was a testament to the beautiful talent of a vulnerable woman. It’s the terrible moment when creative souls and business pragmatists come together. The opportunity for users of all kinds to use others was well in place when I was a young woman. It looks as if we’re only just beginning to deal with it”. After 1980, having made her own bid for freedom, Catherine spent the next quarter-century out of the public eye. 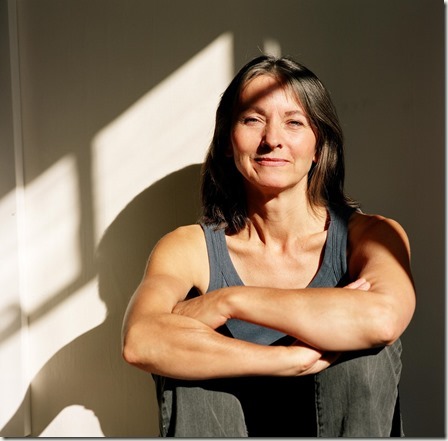 She married and had a daughter, Jenny, in 1990, completed an Open University degree course, and moved to the Midlands. 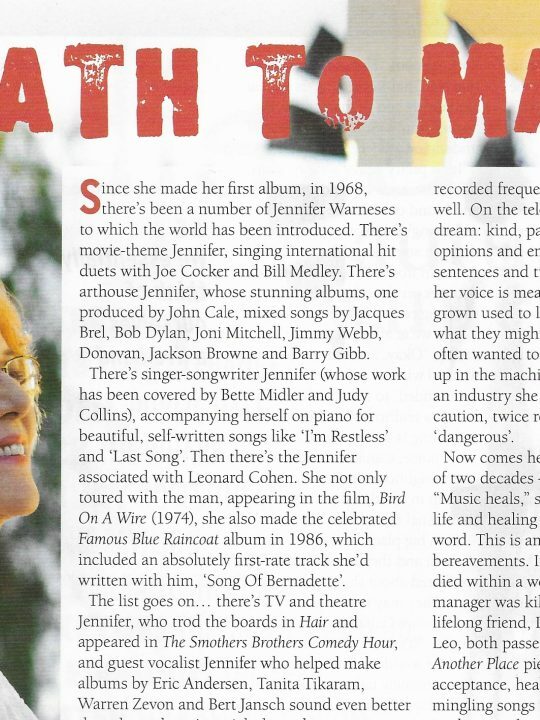 “Jenny and the late education were life-changing, horizon-expanding experiences and made me ready to write and record again”. Around this time, I came across Catherine’s RCA and Ariola output in the much-missed, utterly chaotic Cheapo Cheapo Records in Soho. It was 1999 and the idea of searching for people online was still an amusing novelty. But a search for Catherine Howe revealed absolutely nothing. It was as if she had disappeared. 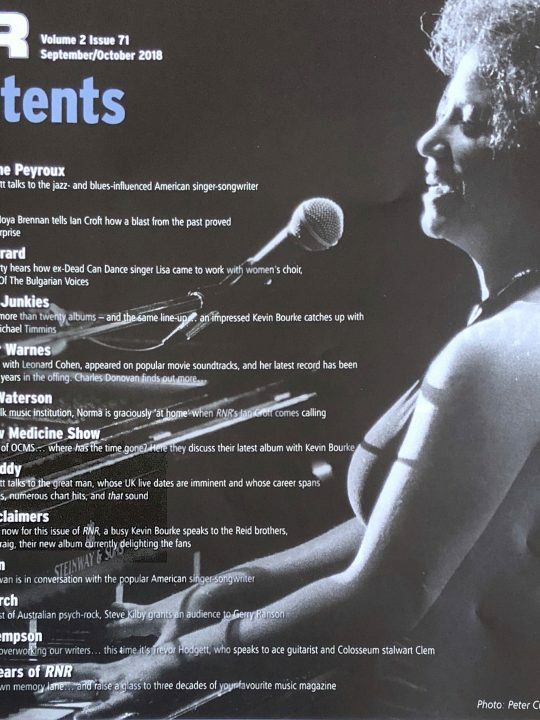 Still, over the next few years, I made repeat searches from time to time – and then, in 2003, there it was; a small entry on the BPI website with what looked like a recent photograph of Catherine and mention of an album called Princelet Street in the works. 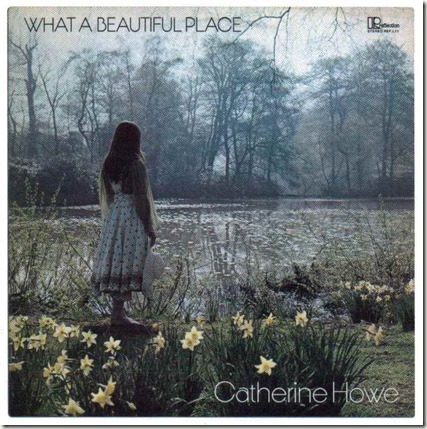 “My friend from the seventies, Kevin Healy, and I started work on the recordings in about 2000,” recalls Catherine. Princelet Street came out in 2005 and picked up sonically where ‘Going Back’ had left off, very much in the pop/singer-songwriter vein. Among its highlights were the hymn-like ‘Say The Word’ and two ballads looking back on love with the perspective of a more mature head, ‘You Never Know’ and ‘C’est La Vie’. But really, it was a whole album of highlights, all of which merit further description. 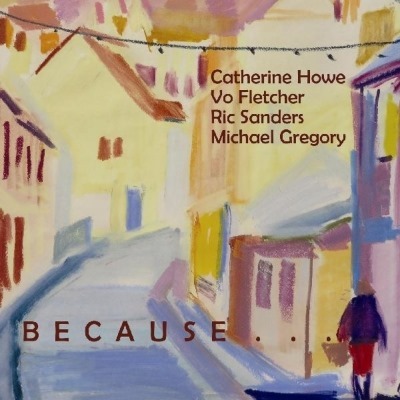 Catherine’s raised profile led to renewed interest and within a matter of years, her first three albums had made it on to CD (where, along with the digital download format, they remain available). 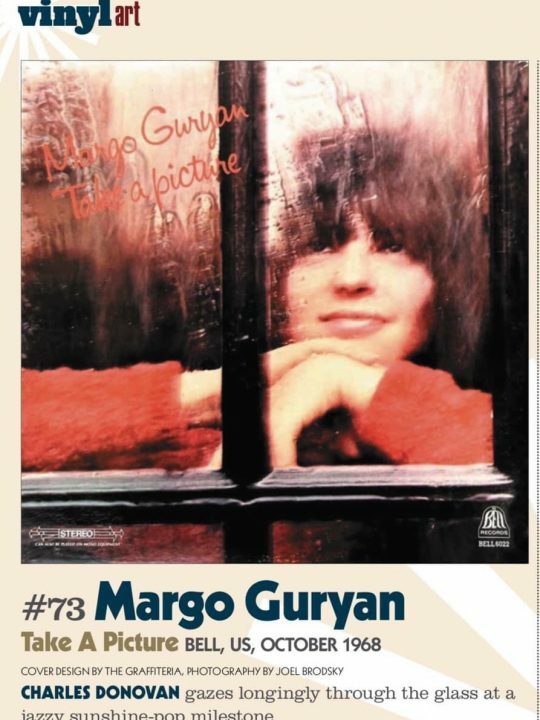 In particular, the re-emergence on to the market of What A Beautiful Place (via luxury American reissue label, Numero) led to a flurry of good press, hailing the album as a lost classic and manoeuvring Catherine into the pantheon of cult geniuses, alongside Judee Sill, Vashti Bunyan and Linda Perhacs. Recent years have seen her form a band with veteran guitarist and singer Vo Fletcher, an alliance that spawned 2010’s acoustic folk album, English Tale, with accompanying live dates around the country. 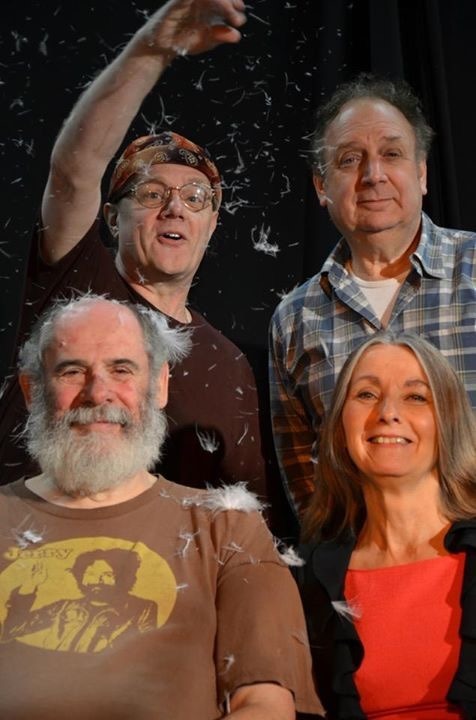 Now, on Because It Would Be Beautiful, they are joined by electric-violinist Ric Sanders (Soft Machine, Fairport Convention) and percussionist/drummer Michael Gregory. 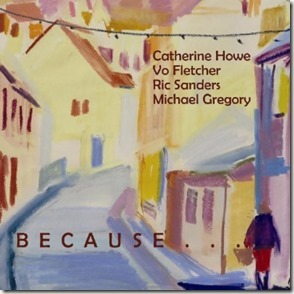 “Vo is one of the most intuitive musicians I have ever worked with,” remarks Catherine. “He gets the songs unfailingly.” And although the bulk of the new songs are Catherine’s, the foursome took a democratic approach in the studio: “The tracks are live events, including Ric’s astonishing violin solos which take off on waves of ecstasy through his echo unit. The recording is cooperative, intended to get away from the songwriter/producer/session musician routine in favour of everyone bringing their own, unhindered brilliance to it. It’s going to be hard to place in a genre, but we’ve ended up with something quite interesting”. Not only interesting, but also diverse – with elements of bossa nova, Americana, folk, pop and roots coming together. 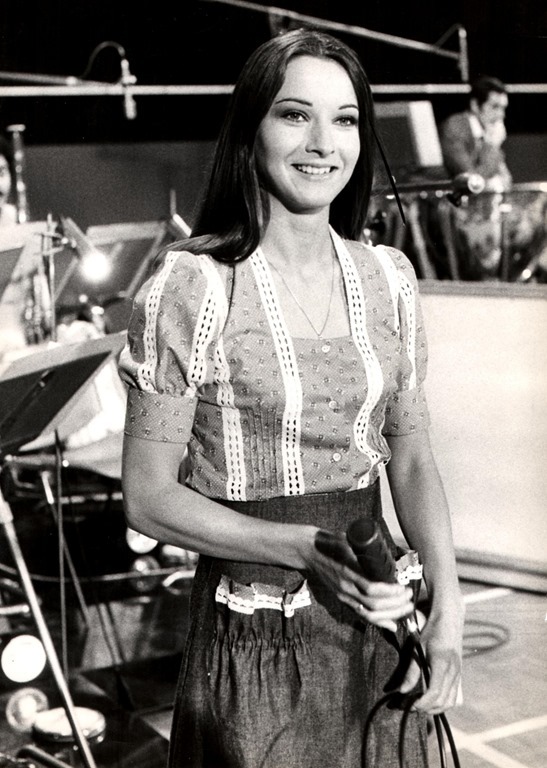 Catherine’s second recording career has been without the benefit of a major label. “Being independent has some good points. It’s novel to be in charge of everything, artwork and manufacture as well as writing and recording. The disadvantages are isolation and tireless administration”. 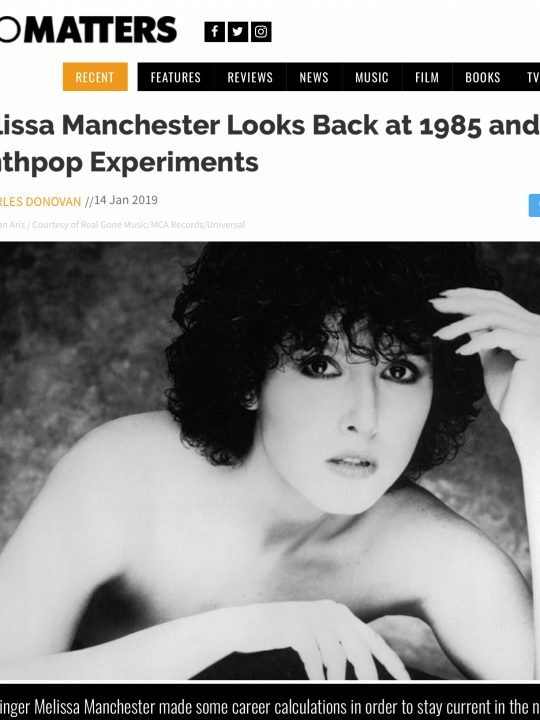 After issuing Princelet Street and English Tale herself (with a distribution deal), Because It Would Be Beautiful is coming out on Talking Elephant, a label known more for its high-quality reissues. “It’s nice to be working with others, but nothing compares with a big label – that was a great and mystifying experience”. 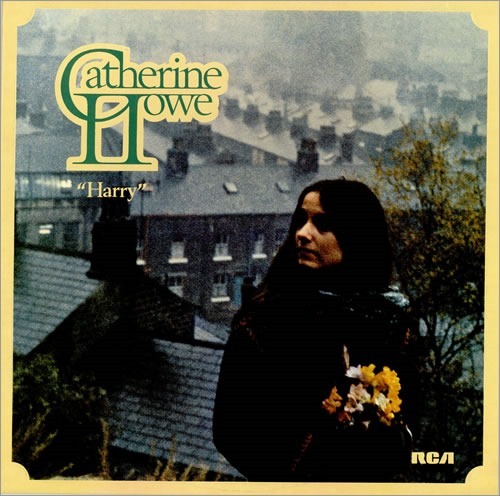 Over the years, certain characteristics of Catherine’s material have given way to others, and the new album is notable for a number of what could be best described as period-songs (‘This Old Peg’, ‘Mayfair Cot’, ‘Charlie Bender’). 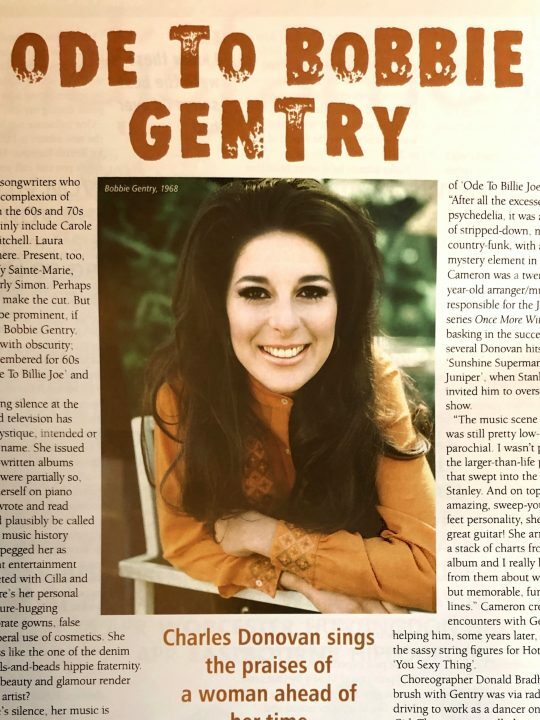 Catherine explains, “Having been born with the songwriter gene and the historian gene, I’ve been aware from early on that I was combining the two and the habit’s grown stronger over the years. It’s my habit to walk through towns and cities because I love to commune with the traces of those who have lived and worked there. I draw on this all the time – along with stories and images which are strong and moving. ‘Charlie Bender’ comes straight from the records of Coram Fields Foundling Hospital. Most of the babies left there never saw their mothers again, but Charlie’s mother came back for him after ten years. ‘Mayfair Cot’ comes from a striking, nineteenth-century photograph of a young patient, sitting up in her cot at Great Ormond Street Hospital for Sick Children. Both songs follow the folk storytelling tradition”. The ‘historian gene’ is something that Catherine has also taken the time to demonstrate in prose, with Halifax 1842: A Year of Crisis and George Jacob Holyoake’s Journey of 1842, and she is now at work on her first novel. Outstanding ambitions include “an international hit”, “circumnavigation of the earth in a space rocket” and “growing into someone who’s a bit more useful to society”. Catherine’s also in talks to issue a collection of demos. “They were recorded between 1975 and 2015 – a number of good songs which never made their way on to albums. It would be nice to see them fledged and away”. The great strength of the singer/songwriters who emerged in the 1970s was their refusal to fit the straitjacket of a single genre. But this was also what made so many of them hard to market. And this double-edged blessing is very much one of Catherine’s. “I can’t claim a genre and I wonder at the purpose of it. Rockers in the 60s thought of writers like Brian Wilson as pop artists. But I doubt Brian Wilson thought he was writing pop when he produced Pet Sounds. It’s all too muddy and confusing for me. My early influences were Buddy Holly, Lennon and McCartney, Randy Newman, James Taylor, Carole King, Hal David, Burt Bacharach and Bob Gaudio. Almost entirely American and entirely reflecting the music that was available to me at the time. The thing is, when writing I don’t feel espoused to a particular style. I suppose it’s pop. Or is it? I used not to think so. Some of the lyrics are a bit dark. Maybe dark pop might be a useful description. I know identification is important commercially but I’m afraid I don’t identify with any particular genre because I enjoy them all. And besides, the creative process is dynamic. Everything influences everything else”. The idea of everything influencing everything is never more apparent than when one traces the fascinating arc of Catherine’s career so far. Seven albums in, with more to follow “when the songs come”, it’s possible to hear how each one holds clues as to the direction and content of its successor (for example, Princelet Street’s ‘Yorkshire Hills’ is a foretaste of the albionesque folk of English Tale). It’s a journey of feelings, stories and experiences married to exquisite melodies and chord progressions that uninitiated would be well advised to embark on. Find out about Catherine’s new album here. Visit her website here.